Sea World San Diego has several ticket options, which are explained below. This guide can help you understand all of the options and decide which one is right for you. If you want to know more about how to enjoy Sea World San Diego, use the Sea World San Diego visitor guide. The first thing you need to know: anyone who is 10 years old and up pays adult admission for Sea World San Diego tickets. Children's prices apply between ages three and nine. Little ones two years old and younger get in free. They do not offer senior citizen discounts, but other ways to save are listed below. Many of those fun-looking animal experiences at Sea World are "Upgrades" which you have to pay extra for. You can get an overview of current experiences and costs at the Sea World website. If you need to park at Sea World, you'll pay extra for that and even more if you want to get a parking spot that's closer to the entrance gate. You can check their current parking costs online to compare with ridesharing service costs. All of the ticket types listed below have expiration dates. Especially near the end of the year, take care not to get so excited about your trip next year that you buy a ticket which expires before you have a chance to use it. Single-day tickets are good for just one day. They frequently offer discounts that may include a lower price on weekdays or free dining, which may be available for online purchase only. The dining bundle Includes 1-day admission and All-Day-Dining at participating restaurants in the park. Two-day tickets will save you money if you intend to spend more than a day at Sea World before they expire. These tickets are only available online and not at the park admission booth. All-Inclusive passes include a single day pass, front-of-the-line access, all-day dining at participating restaurants in the park and souvenir photo. Quick Queue isn't a ticket but an add-on. It lets you go to the front of the line on selected rides. The slightly more expensive Premier version offers unlimited priority boarding and reserved seating at selected shows. It's not immediately obvious how to buy a Quick Queue pass along with a ticket on the Sea World website - to order it, look for the Don't Forget tab at the top of the shopping cart. Annual Passes are good for unlimited visits, with free parking and some discounts. It's the same price for everyone regardless of age. Monthly payments are available. You can also buy a Fun Card for the price of a one-day ticket, but it doesn't include free parking. After you understand what your options are, you can check Sea World's current ticket prices on their website. You may be able to reduce your bill for Sea World San Diego tickets by using some of these discounts and strategies. Buy your tickets on a computer or mobile device: Buy your tickets on your desktop computer or from a smartphone or tablet and get a barcode that can be scanned at the gate. Prices are significantly lower than what you'll pay at the gate. Go San Diego Card: This multi-attraction pass may save your money, depending on what other attractions you want to see. Use this evaluation of the Go San Diego Card to find out whether it will save money for your trip. Southern California CityPASS: CityPASS can save you money if you plan to visit Universal Studios, the San Diego Zoo, Disneyland and California Adventure during the same trip as Sea World. Find out more about whether it's the right choice for you in the Southern California CityPASS guide. San Diego area grocery stores and drugstores often offer discount coupons for Sea World San Diego tickets. So do the tourist publications available in hotel lobbies. The downside? You'll have to stand in line at the ticket booth to redeem them. 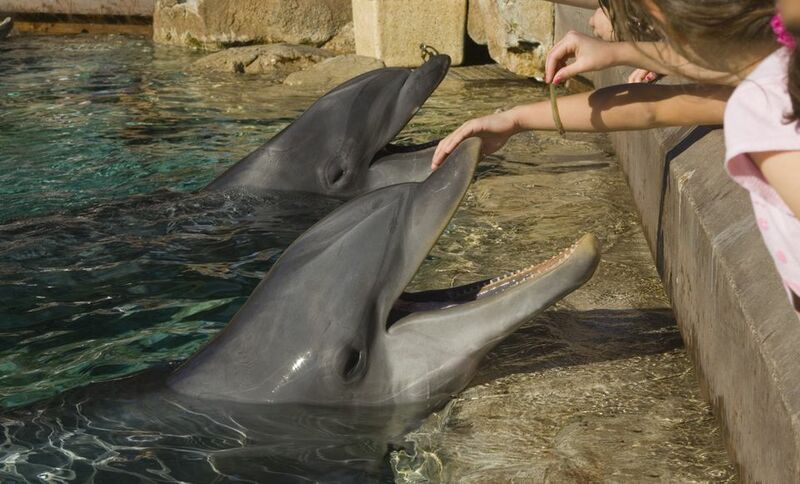 If you are a member of AAA, AARP, a union, or other organization or work for a large company, ask about discounts on Sea World San Diego tickets. Active members of the military and as many as three direct dependents can get single-day complimentary admission. Check details and register ahead of time. Certified K-12 classroom teachers in California and Arizona can get a complimentary Fun Card and 2 single-Day tickets. It may look like a good deal on the surface, but don't risk buying your tickets through eBay, Craigslist, and similar sites. There's a high risk of ending up with a useless, counterfeit, expired or a used ticket. You may find ticket/transportation packages for sale from several companies. If you don't mind their rigid schedule, they can be a good way to get there. Be a smart consumer, though: check the total price before you buy. Their prices are higher than the full ticket price - and even services that offer a "free" shuttle can cost you more than discounted tickets and one-day car rental.